I don’t remember how I came across this shave club; possibly an Instagram ad because they’re getting scarily accurate about what I want to see. A few of these shave clubs have appeared over the past few years; Dollar Shave Club and Harry’s come immediately to mind, but there are others. Basically, these services offer razors and various other shaving accouterments at a discount. Your first shipment from these services always includes the handle and a few blades, and possibly some samples of shaving cream or moisturizer, and you can choose how often your future shipments arrive. Overall it’s a pretty brilliant idea; you end up saving a lot of money on blades since some brands are pushing $20 for a pack of four in grocery/drug stores, and the shipments are automatic. I’ve tried both DSC and Harry’s, and while the razors were pretty nice and the process was relatively hassle-free, I wasn’t thrilled with either. My skin was left feeling dry and I felt like I went through the blades kind of quickly. I prefer Harry’s razor and blades, not only because I got to pick the color of my handle (green… my favorite color), but it’s also less expensive than DSC and includes a travel blade cover. It’s just a nice touch. 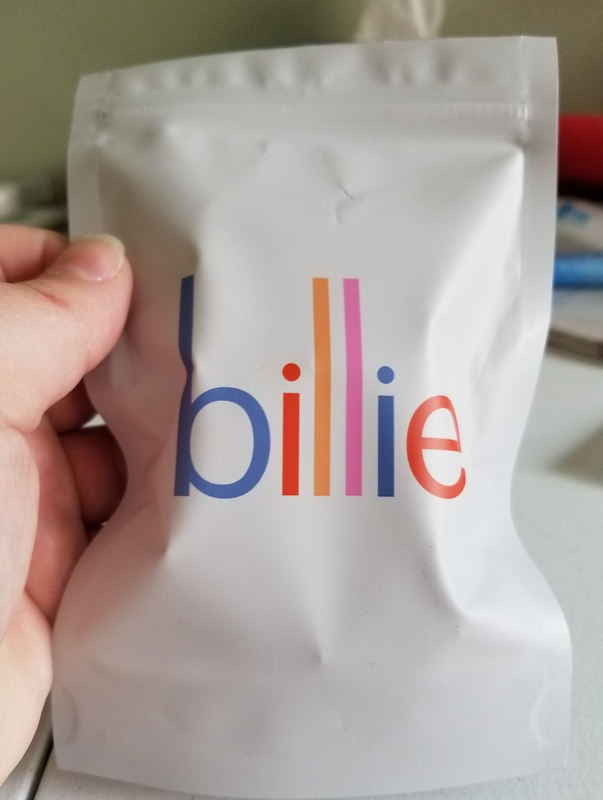 Enter Billie. I was skeptical about a shave club “for women” since traditionally things marketed to women are double the price of things marketed to men (i.e. the “pink tax”), but in the interest of science I decided to try it out. 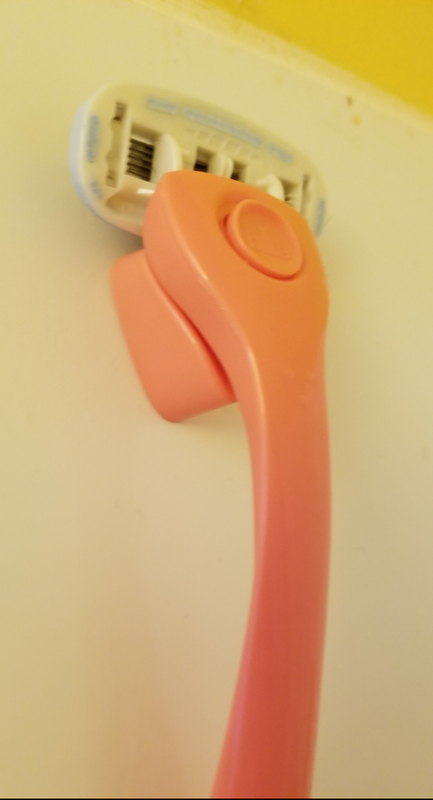 You get to choose from four different handle colors, which is nice but not really a selling point for me (they’re all pastel. Not my thing). The part that actually interested me was the claim that each head is encased in an “aloe soap” so shaving cream isn’t necessary. 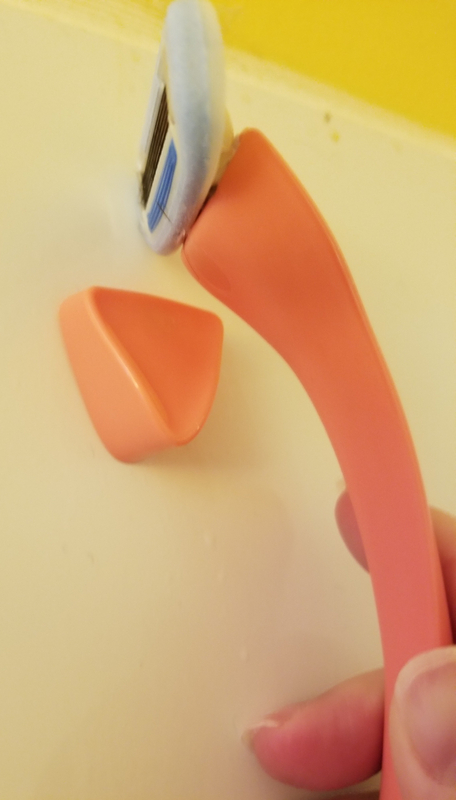 I’m so used to razors with soap being huge and sort of unwieldy like the Schick Intuition, which is nice but I always ran out of the soap way before the blade was finished. The starter kit includes the handle, a magnetic hanger thing for the shower, two cartridges and free shipping. Not a bad deal. And it all came in a super cute little bag. I feel like I can be honest with you guys because we’re friends… so I can admit that it’s been awhile since I shaved my legs. It’s winter. It’s cold. I’m in a long-term relationship. My hot water tank is tiny. Tl; dr, shaving isn’t a huge priority for me right now because it takes time and effort and precious hot water, and the only person seeing my hairy legs doesn’t really care. I put the razor in my shower, where it sat mostly unused for longer than I’d like to admit. 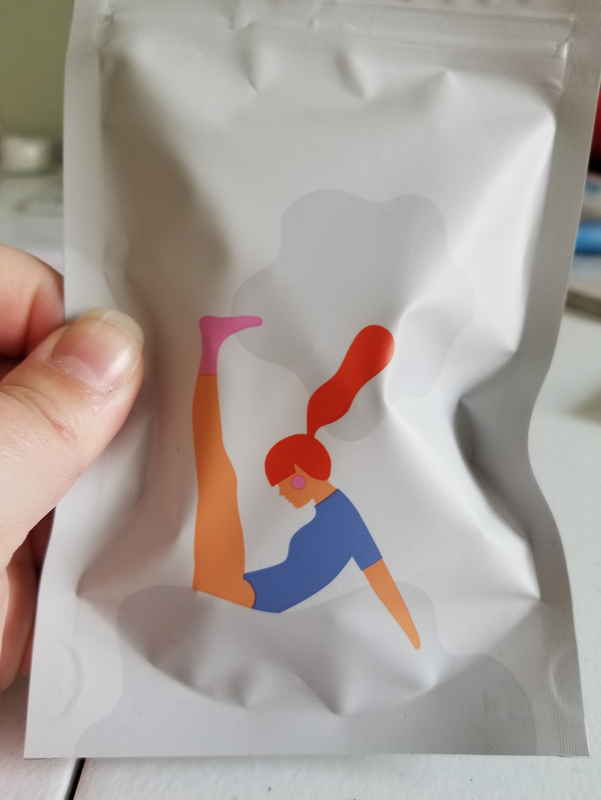 I’ve been using it for my armpits because letting those get longer than stubble grosses me out, but over the past few days I’ve finally gotten around to deforesting my legs. Usually, this is a time-consuming process that I put off for as long as possible. It also makes my skin really gross and dry regardless of how much I’ve moisturized and exfoliated over the winter, which is another reason I avoid doing it. No joke, my skin feels incredible; smooth, soft, and I haven’t needed lotion or anything. I still have my usual strawberry skin thing, but it doesn’t look as bad as normal. It could be my imagination so I’ll have to monitor the situation over subsequent shavings. This was a surprisingly pleasant experience so I might not let it get to forest levels again. I think I could reasonably shave my legs in the shower, which is amazing and definitely enough to keep me buying these blades. In short, I like this. If you’re into body hair removal you should look into it, and if you use my referral link I’d appreciate it. They sell the same thing here at Walmart and I love it! I’ve never seen it at my Wal-Mart. That’s awesome!